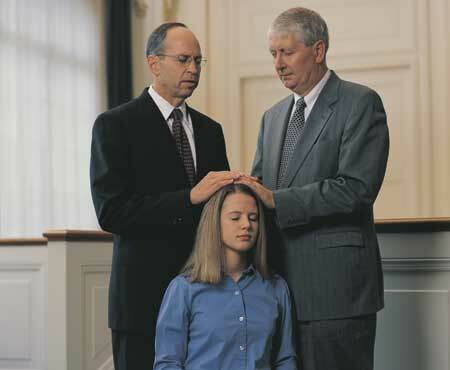 LDS woman being set apart for a calling in the Church. “We are not accustomed to speaking of women having the authority of the priesthood in their Church callings, but what other authority can it be?” —Elder Dallin H. Oaks, “The Keys and Authority of the Priesthood,” April 2014 General Conference. Emphasis added. I’m a Sunday School teacher in my ward, and today I taught about women and the priesthood. I thought I’d share a few thoughts from that lesson, especially in light of current events. Do women have responsibilities in their callings in the Church? Do women have authority in their callings in the Church? Do women have priesthood authority in their callings? Do women exercise priesthood authority? Do women hold priesthood authority? 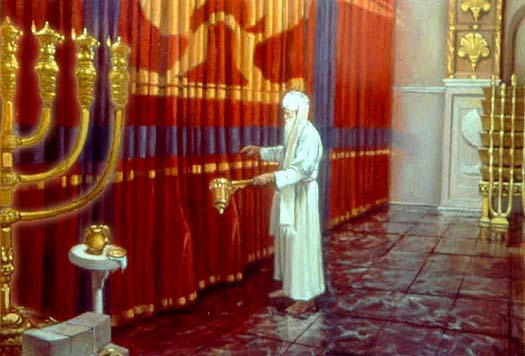 The High Priest stands before the veil of the Israelite Temple. “Esoteric,” then, in its original biblical meaning, refers to the teachings and practices done within the Temple. This concept helps us understand that in the Israelite world view there were public, exoteric rites and teachings performed in the outer court of the Temple in view of all the people, including Gentiles. There were also esoteric rites and teachings performed within the temple building and restricted to the priests or even to the High Priest alone. That Christ taught esoteric teachings is clear from his use of a similar term mustērion, or “mystery” – “Unto you it is given to know the mysteries of the kingdom of God” (Luke 8:10, Matthew 13:11). 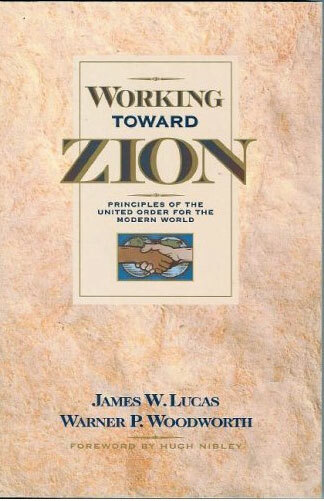 A presentation given by Professor Hamblin goes into greater depth on this subject. Read the full article at the Deseret News.